Baird, David M.. "Canada Science and Technology Museum". The Canadian Encyclopedia, 08 April 2015, Historica Canada. https://www.thecanadianencyclopedia.ca/en/article/canada-science-and-technology-museum. Accessed 19 April 2019. The Canada Science and Technology Museum collects objects relating to scientific and technological development in Canada and also carries out research (courtesy Canadian Tourism Commission). The Canada Science and Technology Museum had its roots in the Geological Survey of Canada museum (1842), renamed the National Museum of Canada in 1927. In 1966 a separate Science and Technology Branch was created, under its own director, and small collections of artifacts that had been under the trusteeship of other branches of the National Museum were transferred to it. In April 1967 a warehouse on the outskirts of Ottawa was put at its disposal, and the museum was opened to the public on 16 November 1967. 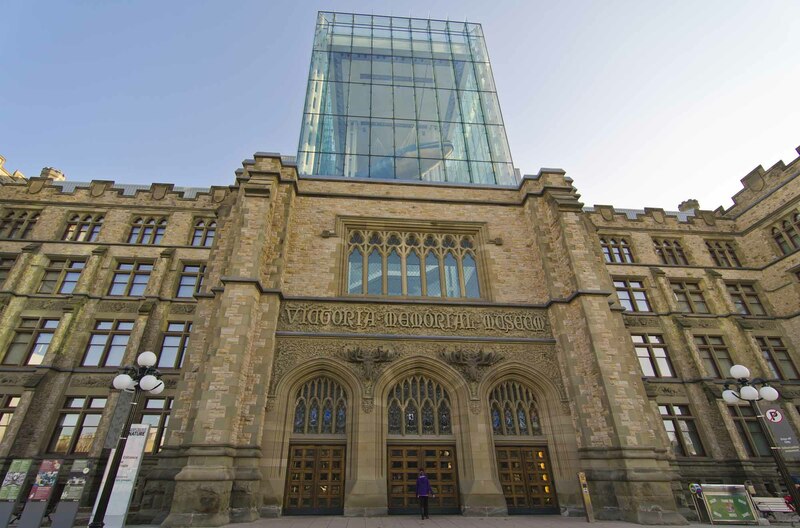 The following year it became the NMST, a part of the National Museums of Canada. The Canada Science and Technology Museum (prior to May 2000 known as the National Museum of Science and Technology) collects and preserves objects and data relating to scientific and technological history and development in Canada, carries out research, and sponsors exhibits and public programs. Major subject areas include pure science (mathematics, physics, chemistry), astronomy, transportation, communication, agriculture, forestry, fishing, extractive industries, industrial technology, energy, aviation and space, marine technology, fire technology, graphic arts technology, medical technology and photography. Collections total approximately 20 000 artifact lots with 60 000 individual objects, and 80 000 photos as well as associated archival material. The museum also holds the CN Photo Collection, a collection of 750 000 Canadian photographs, some of which date back to the early days of photography in the 1850s. CN donated the photographs to the CSTM in 1999, and many of the images can now be accessed online in the CN Images of Canada Gallery on the museum's Web site. The museum's observatory houses Canada's largest refracting telescope, obtained from the Dominion Observatory, which is used for education programs. 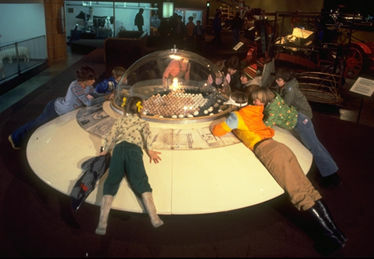 Other public programming activities include daily presentations on such topics as cryogenics and electricity; artifact demonstrations; travelling exhibitions; publications; school programs; astronomy programs; sleepovers; birthday parties; and special events every month on a range of topics, from fighting fires to the technology of beauty. Exhibitions, both continuing and temporary, use innovative design and display methods and stress visitor participation. CSTM has been in the forefront of developing modern museum practices, with experiments in the use of computers, in registration procedures, traffic management studies, analysis of visitor patterns, and the use of the outdoor surroundings of the museum as a technology park. Its expertise in restoration of heavy objects, particularly those in transportation, has been made available to museums both nationally and internationally. 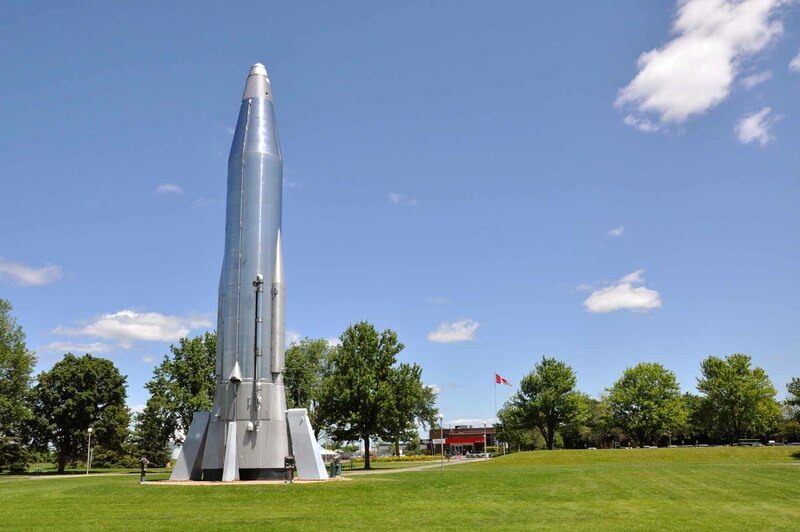 The museum is operated by the Canada Science and Technology Museum Corporation, which also administers two other national Canadian museums in Ottawa: the Canada Agriculture Museum and the Canada Aviation Museum.